My heart is so full. Slowly Unraveled has been a community project—and we are so close to the January 10th launch day. So many men and women have spoken into this book, edited this book, and contributed simply by being alongside me as I discovered power in the story God was and still is writing for me in the gospel. 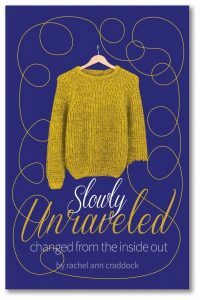 As I thought about Launch Day for Slowly Unraveled, I really wanted the launch to represent the book. I wanted to collaborate with other women, introduce you to some amazing businesses, and create a women supporting women kind of launch event. I’m going to lay out the whole launch party here on the blog—I like to communicate ahead of time so you all know what we are giving away and how you can win some of these amazing items. The Facebook Live Launch Party will begin at 8pm Eastern Standard Time on Thursday, January 10th. I am predicting an hour and twenty minutes for the entire launch party—feel free to pop in as you are able—I will keep the contest open until 10:00pm. First giveaway will be featured at 8:10 and from my friend Allison Brown. 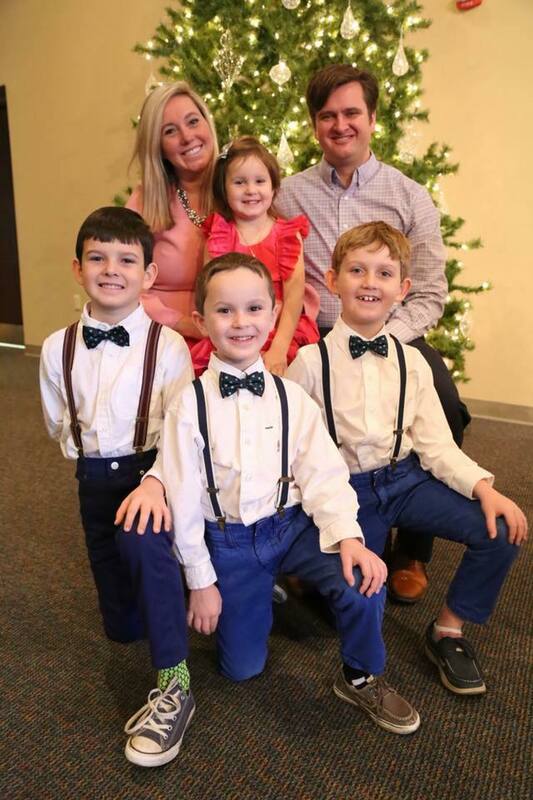 Allison has been in my discipleship group for three years, our girls are in school together and she is owner, creator, mom to four, and the momma-mastermind of Bellafesta. You can find her shop at http://bellafestacrafts.etsy.com/. Allison is giving away any handmade dress from her shop—you choose the size 6m-6y. 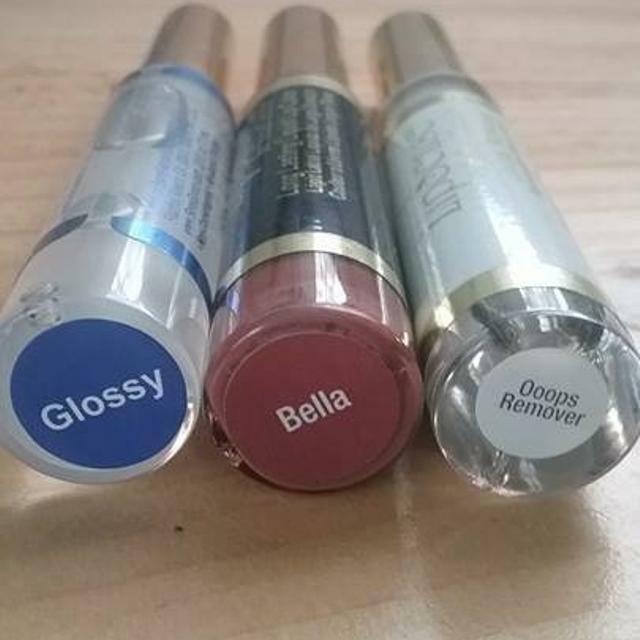 How you will be entered to win the prize from Bellafesta: you must like the post with the above picture on the Rachel Craddock, Author Page during the launch event, comment “I’m here” in the comments, and you must have clicked the “going” button on the launch day event. If you haven’t clicked “going” on the launch day event yet 👉🏻 go do it now so you’re all set. Our second give away will be featured around 8:15 and from Abby Shuman. 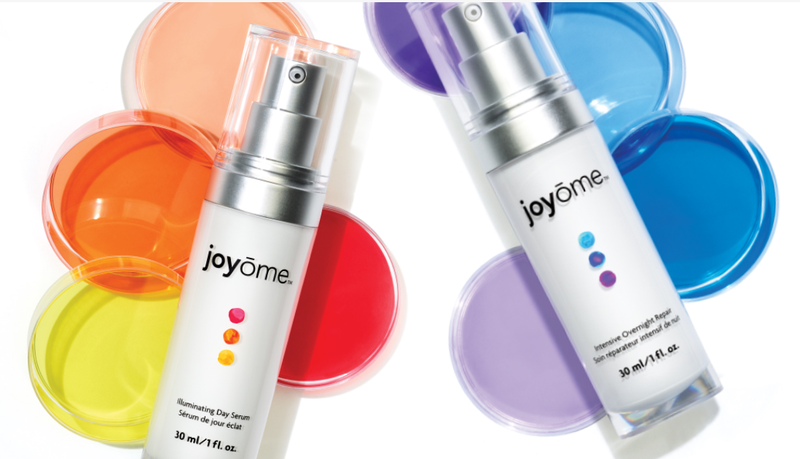 Abby is an ambassador for Plexus and she is donating a set of simple skincare from their new line Joyome. 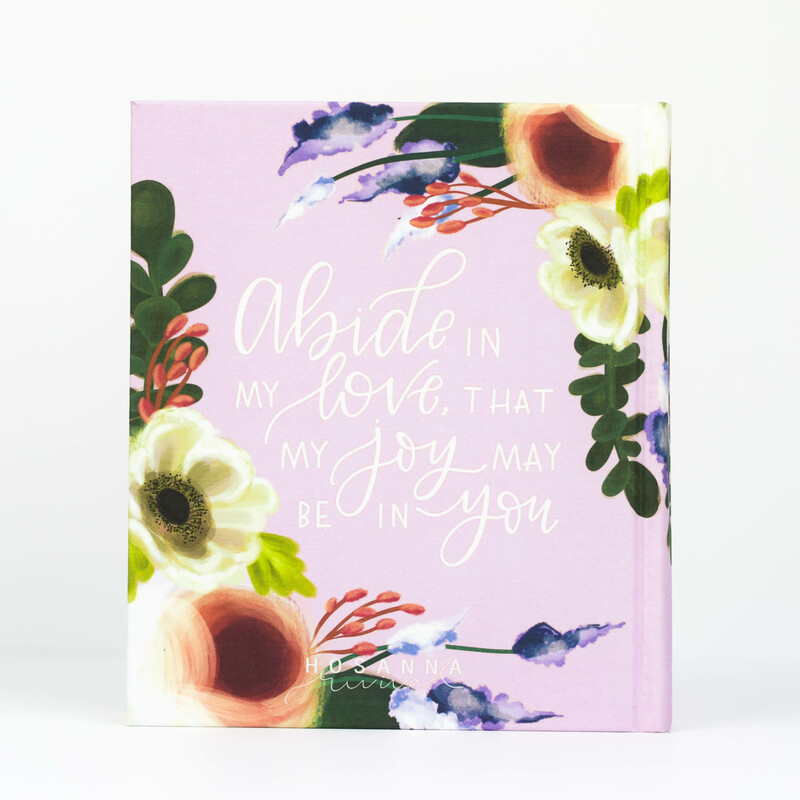 Abby has been connecting with me here on the blog, and she attends Tate’s Creek Presbyterian Church in Lexington, KY. My husband attended Tate’s Creek for many years while he lived in Lexington. Go Cats. You can connect with Abby and learn more about Plexus on Facebook. How you can win the simple skincare set: Like the post with the above picture, comment with a hello greeting of your choice, and tell us where you are joining us from. Double entry if you post a selfie of where you are and who you are watching with. The second giveaway will be around 8:20 and is from my friend Carie Smittle. Carie is a room mom alongside me in our daughters’ preschool classroom—and she is so wonderful. Carie is donating a lip kit from Lip Sense. 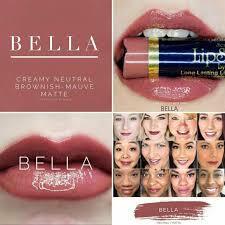 It is the most popular Lip Kit, Bella which is a neutral color. She also included a sweet travel pouch and it’s decorated with a snowflake ornament. You can connect with Carie on Facebook at Ready, Set, Lips and Beauty by Carie Smittle. How to win this Lip Kit: Like the post with the images above during the launch party and comment with your name and tag friend’s name—someone you’d like to read through this book this year. Both will be entered to win. 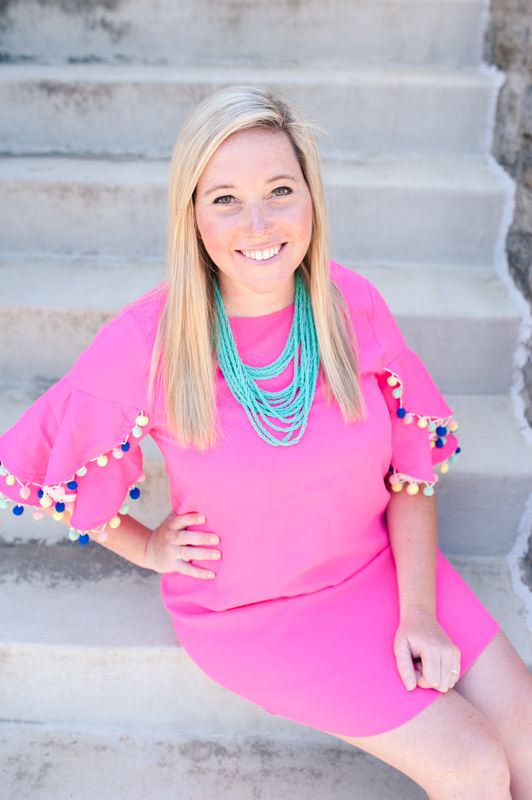 Our fourth giveaway will be around 8:25 and it is from my sorority sister, Brittney Hammons from Bumblebee Photography. Brittney takes all our family photos and did a beautiful job on my headshots last spring. This prize needs to go to someone in the Cincinnati/Northern Kentucky Area. Brittney is giving away a Mini Photography Session with digital images. 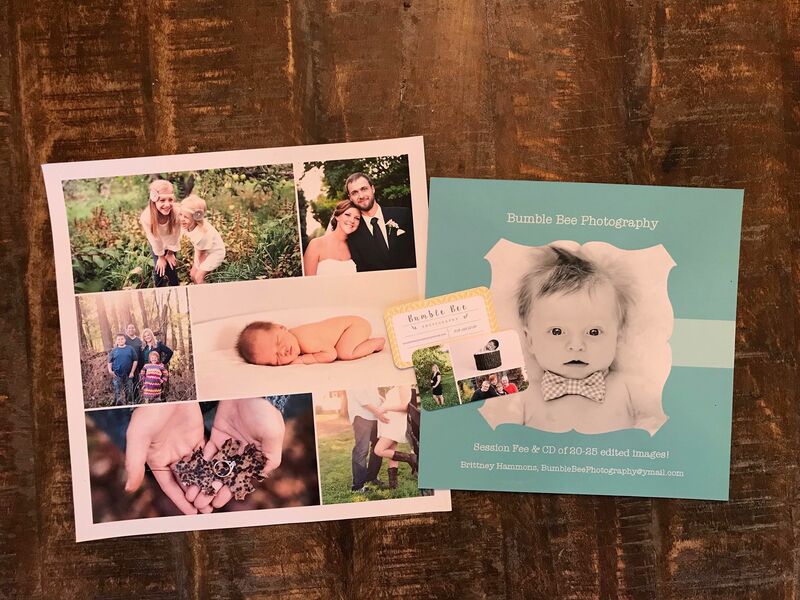 You can connect with Brittney on her Bumblebee Photography Facebook Page. How you can win a photo session: This is for a Cincinnati/Northern Kentucky winner only—Brittney is located in the Cincinnati area and this gift cannot ship. Like the post of the image above and comment with a picture of you or someone in you love wearing their favorite Ohio or Kentucky Team Gear. Around 8:30 we will be giving away an item from another one of my sorority sisters, Megan Karr. Megan trained me how to be Kappa Delta Secretary, and I love her work over at CreateHappy Handmade. Megan is donating this beautiful, handmade mixed media sign with hand stamped letters and flowers, and hanging hardware on the back. The piece is 7×7. You can connect with Megan on instagram @createhappyhandmade. How to be entered to win this sweet prize from CreateHappy Handmade: Show me your emojis. Like the post above during the launch party, and comment with the first six emojis in your recently used emoji library. Around 8:35, I will introduce you to another Kappa Delta sister of mine, Kacy Massie. 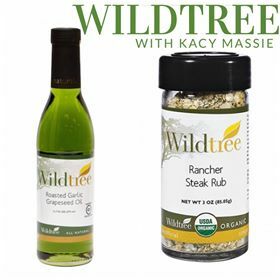 Kacy’s giveaway is for her two favorite products from WildTree! Rancher Steak Rub and Roasted Garlic Grapeseed Oil. These two products can be used on a variety of foods including all proteins and tons of vegetables. Wildtree is an organic food company that helps busy people get dinner on the table. Join Kacy on Facebook at Wildtree with Kacy Massie or check out her website at www.wildtree.com/kacymassie. How you can be entered to win the Wildtree Products above: Like the post of the image above on the Rachel Craddock, Author Page during the Launch Party and comment a funny GIF that shows your current cooking style. 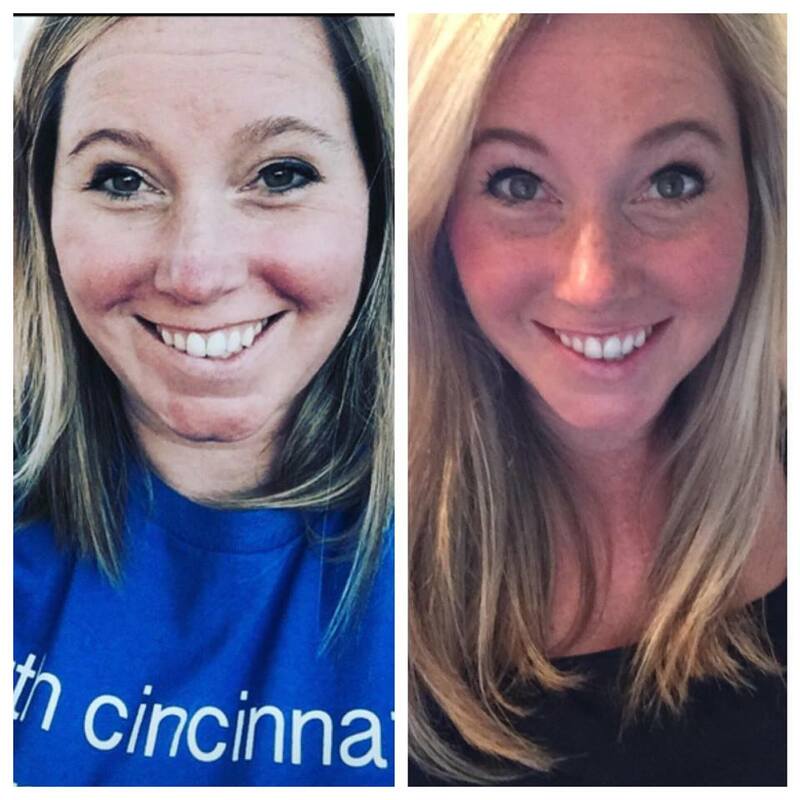 Our seventh giveaway is from my favorite preschool teacher and Rodan and Fields woman, Courtney Ryan. 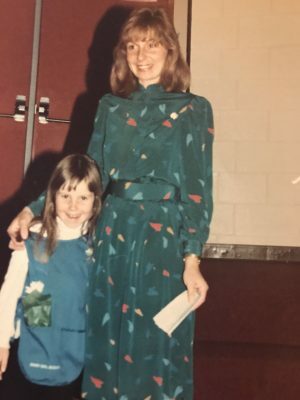 Courtney has taught all my children their letters, sounds, and how use their words, not their hands, to get along with others—she also has saved my skin. I love Rodan and Fields Products, they have really changed the way I wash my face and I love my new skin. Product picture to come, but here are my before and afters. This stuff is magical. How you can win this amazing and magical gift from Courtney: During the party I will post a picture of my dog, dressed in a costume. Like the post during the party on the Rachel Craddock, Author Page and comment with a caption for the photo. Best caption wins. Around 8:45 we will be giving another Wildtree Product from my good friend Melissa Smith. Melissa and I go to church together and she has been a life-giving friend to me for many years. Wildtree provides all of your mealtime solutions when life can feel a little hectic. Do you find yourself running out the door to get to work, the gym, or your kids’ activities? Wildtree Wellness Shakes provide convenient, on-the-go nutrition, anytime! 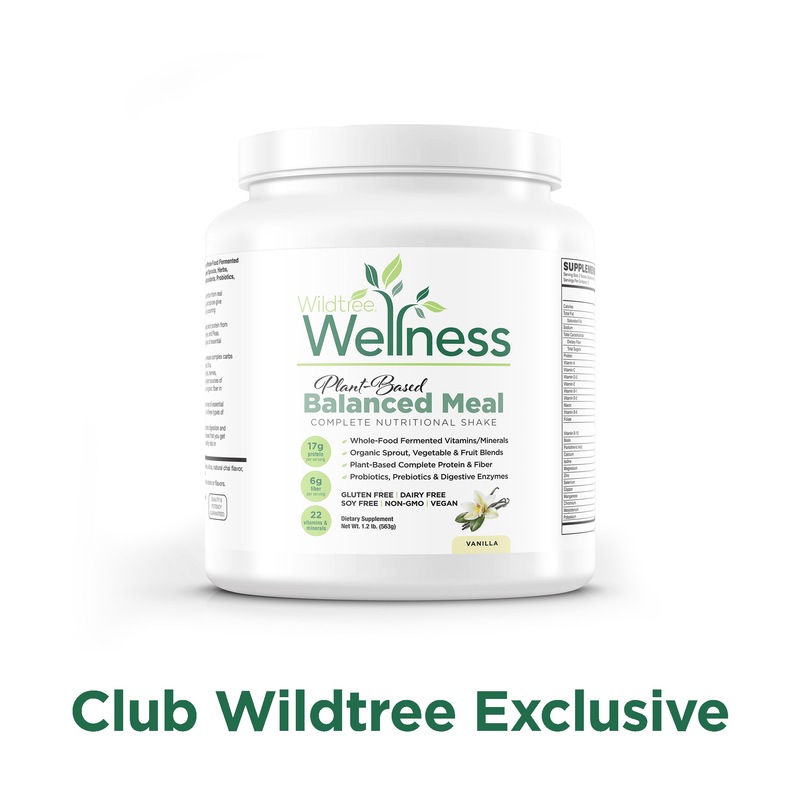 How you can win this Wildtree Wellness Shake Mix: During the launch party, like the post that includes a link to the PCA Bookstore site for Slowly Unraveled and share the link to the PCA Bookstore on your timeline. Around 8:50, we will do a giveaway from Thirty-One Gifts. My friend Tammy Rosenfeldt is donating an Essential Storage Tote. I know Tammy though church too. It is so generous of her to donate this bag from Thirty-One. You can find Tammy on Facebook to connect with her about other Thirty-One Items or on her site here. 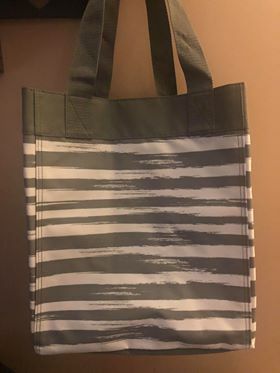 How to win this tote from Tammy: Like the post of the above image during the launch party on the Rachel Craddock, Author Page and post your favorite funny meme in the comments. Around 8:55, my friend Ashley Goebel from Chasing Belle Creations is donating some beautiful earrings. I used to dance with Ashley on the Mystical Dancer’s Dance Team when I was a young girl. Ashley has remained a sweet friend, and I am always so encouraged by her faith. 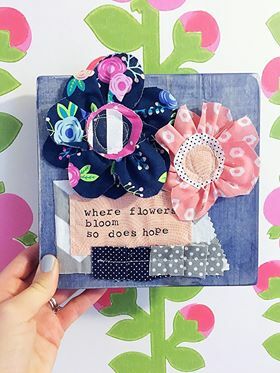 You can connect with Ashley on Facebook and Instagram at Chasingbellecreations or at her Etsy Shop: Chasing Belle Creations. 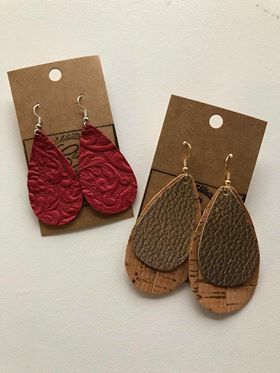 How to win these beautiful handmade earrings: Like the image above during the launch party on the Rachel Craddock, Author Page, then in the comments I want you to share the name of a breast cancer survivor who inspires you or someone you love who passed away while fighting against breast cancer. This will be encouraging to both Ashley and I, breast cancer has touch both of our stories. 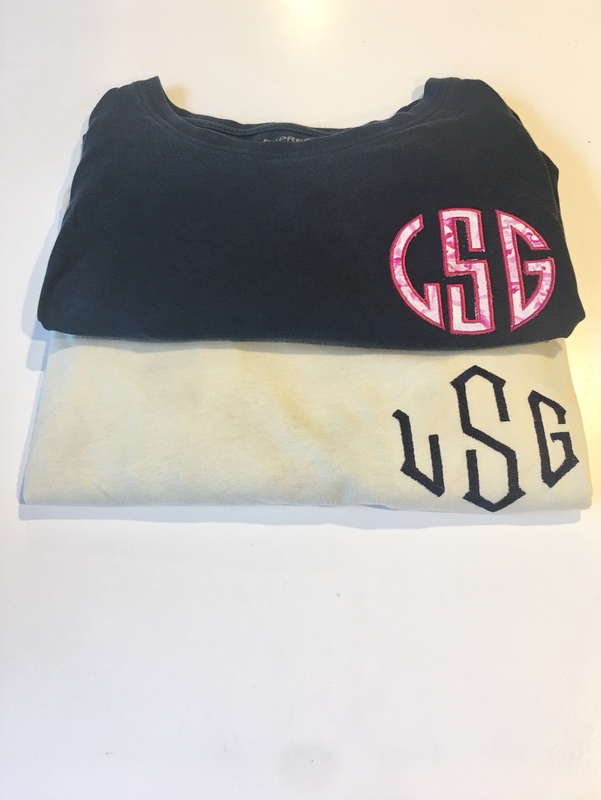 Around 9:00 we will be giving away a monogram quarter zip from Couture Bébé Threads donated by my friend Brittany Beaver. 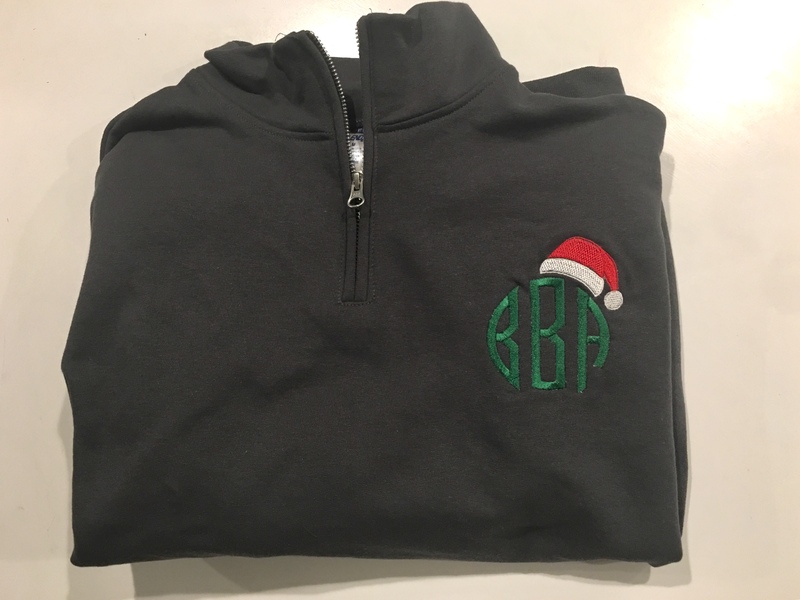 How you can win a monogramed quarter zip: Like the photo during the Launch Party on the Rachel Craddock, Author Page, comment “shared cover photo” and make the Rachel Craddock, Author Page Launch Party cover photo your cover photo until the end of the Launch Party. Around 9:05 we will give our twelfth item for the evening. 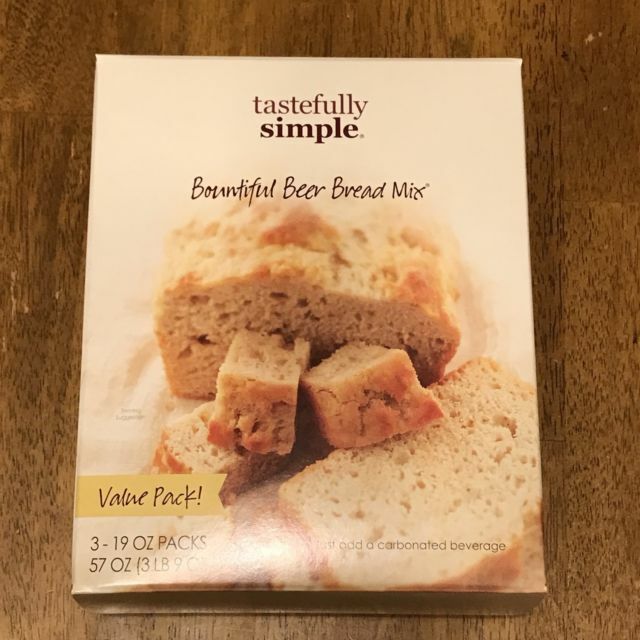 My friend Jennifer Habra has donated a Beer Bread Value Pack from Tastefully Simple. You can find out more about Tastefully Simple from Jennifer on Facebook. How you can win the Beer Bread Value Pack: Like the post of the above image during the launch party on the Rachel Craddock, Author Page and comment why you are excited about the book! Around 9:10 we will do a giveaway from CraftRoom Studio. 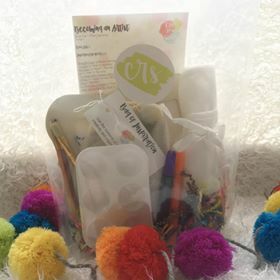 My friend Allison Leland is one of the owners of this shop—they create art kits for your little ones to explore, experiment, and create! She is giving away a “Becoming and Artist” art kit. You can find CraftRoom Studio on Facebook and Instagram. Allison was an art teacher and now is a stay at home mom to two precious girls and a little boy on the way. She also is a football coach’s wife. She is an amazing creator and you will want to check out her shop. 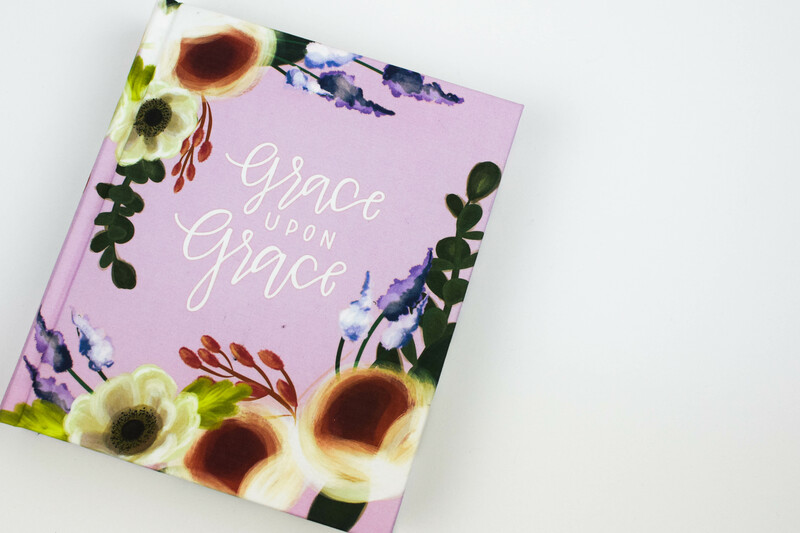 How to win this item from Craft Room Studio: Like the post on the Rachel Craddock, Author Page with the above image during the Launch Party, and comment with a GIF or MEME that best captures your favorite exercise. Finally, around 9:15 we will be giving away a prize I am so excited about. A Bible from Hosanna Revival. I am so excited to partner with this business. I found this shop at a vintage market a few months ago and fell in LOVE. Her journals and Bibles are so beautiful. Images of the Bible we will be giving away are below. How to win this Bible shipped right to your door by me: during the party, like the post with these images on the Rachel Craddock, Author Page during the launch party and send Rachel Craddock, Author a private message with your proof of purchase of Slowly Unraveled from the PCA Bookstore. All participants must enter by liking on specific image posts during the launch party on the Rachel Craddock, Author Facebook Page. All posts will be live at 8pm eastern standard time and we will close the party at 10pm eastern standard time. All winners will be contacted directly in the post thread by 10:30pm eastern standard time. Facebook and instagram have no affiliation with this Launch Party and are in no way responsible. I hope you will join us for this amazing collaborative event as we celebrate the launch of Slowly Unraveled. P.S. Pre-order Link for Slowly Unraveled is Live Today. 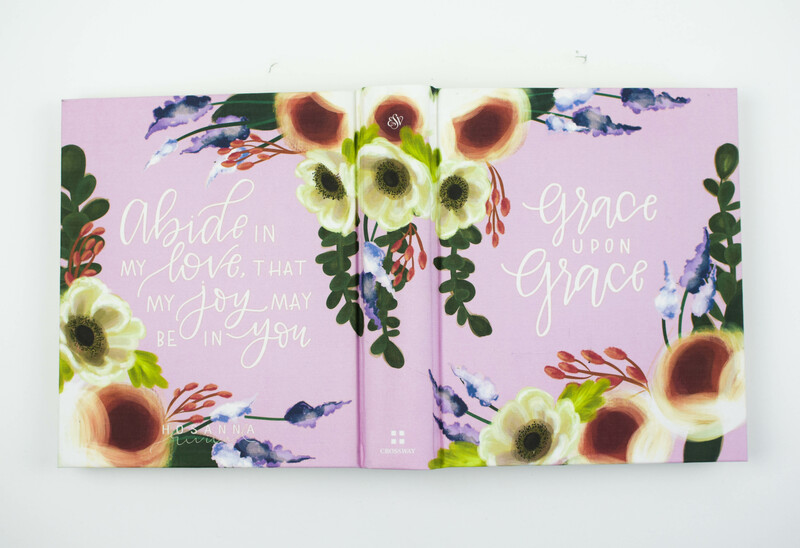 If you pre-order the book you can go ahead and send me that proof of purchase to rachel_craddock@me.com or message me via Facebook on the Rachel Craddock, Author Page to be entered to win that beautiful Hosanna Revival Bible. This is the only giveaway I will begin accepting entries for! Years ago I has a habit of making resolutions for the New Year. Usually it was a pretty good list. Clean up my language when frustration came my way, exercise more, read a certain amount of books, lose a certain number of pounds, and—break up with my obsession over melty cheese. What I’ve learned is: I am super terrible at keeping a list of dos and don’ts and—it is super difficult to say goodbye to melty cheese. What I know now: making a list of dos and don’ts for The New Year is the least likely way to create lasting change or lasting results. Most of the items on my list above are surface level behaviors—what I was missing and the reason I failed year after year—was the fact that I wasn’t attacking my behaviors at the root. I wasn’t going down beneath the surface to ask the Lord to change the desires of my heart. The Lord doesn’t want us to simply obey him at the surface level of our behaviors—the Lord wants our hearts! As the heart changes, the behaviors then change too. For where your treasure is—there your heart will be also (Matthew 6:21). Trust in the Lord with all your heart and lean not on your own understanding (Proverbs 3:5). Search me Lord, and try me. Examine my heart (Psalm 26:2). For the past few years I have focused on a heart-theme for the New Year instead of a list of do and don’t behaviors to cultivate a transformation of my heart—which then produces a natural change in behavior. One theme a year. Just one—and let me give you a warning here—be careful what you ask for. In 2018, my theme was trust. I wanted to trust the Lord with the things I cannot control. I am a control freak and a high anxiety person. So for this past year, I asked the Lord to grow me in trusting him. As a control freak, I had a plan for what it would look like to trust the Lord in 2018. I was going to trust him in writing a book proposal and sending Slowly Unraveled out into the world; and I was going to trust him in leaving my four children for twelve days while I traveled with my husband to Croatia. It was really hard to trust the Lord with those two things—but the Lord has provided more than I could ask or think (Ephesians 3:20). What was more difficult, was the unplanned place where the Lord called me to a season where I needed to trust beyond my control. I didn’t plan on needing to trust the Lord in my double mastectomy journey this fall —which included an unplanned foot surgery for my husband as well—but looking back the Lord provided trust in these big things that were unplanned—and way outside of my control. Looking back now, I can see the my surface level behaviors slowly changing because the desires of my heart have slowly changed. I am in no way a completely recovered control freak, there are many layers to my desires to control— but the journey is a slow unraveling of my tangled-up heart—and I am confident that 2018 taught me to trust the Lord in the hard things just a smidge more. For 2019, my heart theme is faithfulness. All too often I have so many big ideas and big plans, I fail to be faithful in the small things. I have no idea what this will look like in 2019, but I am going to be intentional to live faithfully and look for ways I see God growing me in faithfulness—maybe he will grow me in the faithfulness of saying goodbye to melty cheese. The Lord wants our hearts! I am going to trust him to change me from the inside out. Here is a list of ideas for heart-themes for 2019—all from the fruit of the spirit verse in Galatians 5. I also recommend finding 2-3 verses from the Bible that go with your heart theme to commit to memory. Happy New Year. May the Lord bless you and keep you; may his face shine upon you; may he show you his favor and give you his peace (Numbers 6:24-26). My seven-year-old son made a grid-like calendar with pencil and computer paper; and he taped it to his wall next to his bed with scotch tape. This happened back in November and I believed he was counting down the days to his December birthday, or maybe even Christmas. I knew he was eagerly anticipating something to be so intentional with that pencil-drawn calendar scotch taped to his wall—each night he faithfully crossed off the day, each morning he accurately recited the date. My sweet son. My double mastectomy and reconstruction season has kept me from standing in the front yard with big welcome-home hugs every day. In this season, my children have been gently hugging me around my hips. I just had no idea how greatly my son missed my physical presence in the front yard. It seems like such a simple and mundane thing—standing in the front yard with a welcome home hug—but to my child, this mundane thing to me was everything to him. This is how my children amaze me. They live with child-like excitement and wonder. They make calendars and count down to big welcome-home hugs. Children understand the importance of presence—so much so they want to be in the bathroom with you—children care about snuggles, and hugs, and books read before bedtime, and belly laughs over Apples to Apples. 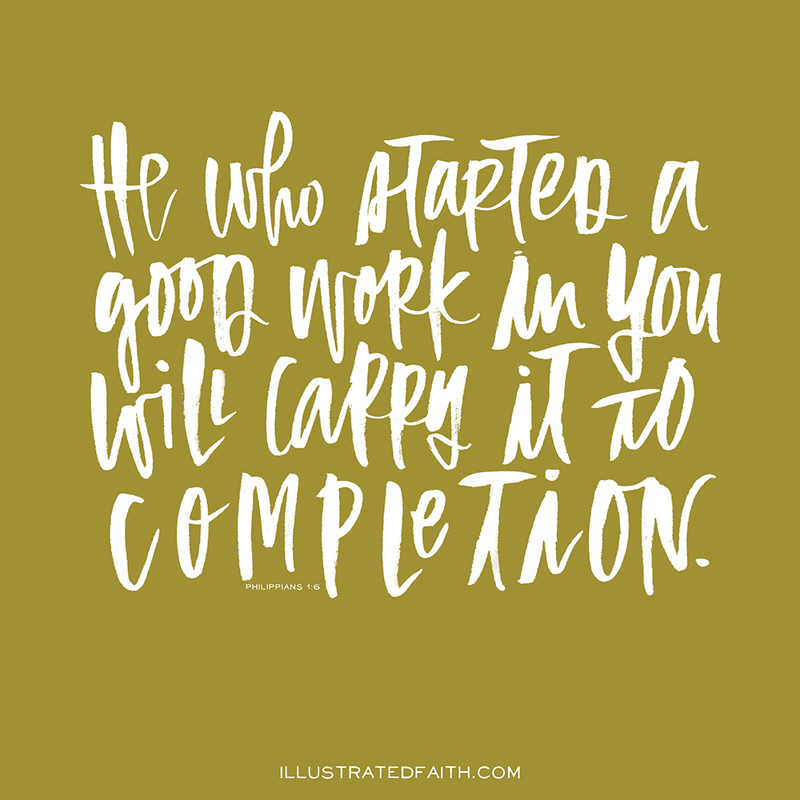 This is a good reminder to me in the busyness and what can feel like the mundane of the holiday season. My children teach me the importance of presence. It’s not about what we are doing with our children during the holidays—it is about whether or not we are present with them in the moments. Are we there just physically, or are we there wholly—seeking to enter in to the child-like excitement and wonder? As I have grown-up, my task list has increased as well as my worries; I sometimes feel the importance of a second cup of coffee greater than the importance of Christmas Presence. Presence is defined as existing, occurring, or being present in a place or thing. Presence is entering in and engaging with others in the front yard welcome-home hugs of every day life. Presence is wholly living and evidence of holiness—dwelling among the little ones God has given to us. Christmas Presence is living like Jesus, Emmanuel, God with us. “Behold, the virgin shall conceive and bear a son, and they shall call his name Immanuel” (which means, God with us), Matthew 1:23. Jesus came to Earth to give the world the gift of Christmas Presence. As humans we needed a God who would dwell among us. Presence, dwelling, and wholly living are the balm to all the longings of our human hearts—even when we are grown and we all too easily forget—glory is seen in the presence and the dwelling. Glory is seen in a God who knows our humanity because He dwelt among us. The Word became flesh and made his dwelling among us. We have seen his glory, the glory of the one and only Son, who came from the Father, full of grace and truth, John 1:14. Christmas Presence is the greatest gift. As parents, we get to show this kind of love to our children. I don’t want to been grown and forgetful, I want to be child-like with the kind of excitement that causes me to make a grid-like calendar and scotch tape it to my bedroom wall—I want to long for presence more than I long for more coffee. I want to live like Jesus with those around me, I want to be present and live wholly. I want to see the beauty of an every day welcome-home hug. Christmas Presence is what our hearts are all longing for, it is why we need a God who would dwell among us. It is children who are sweet reminders of the gift of Christmas Presence—counting down to the simple and important things like welcome-home hugs. If you have grown and forgotten about Christmas Presence, there is great hope in a God who fully sees you, loves you, died for you, forgives you, and longs for you to return to him. He doesn’t require you to do anything but turn to him, he is waiting with a welcome home hug.